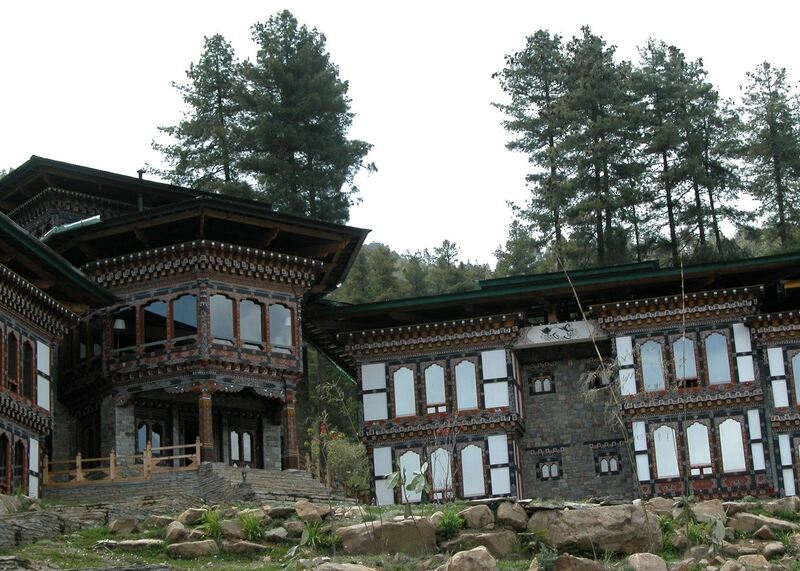 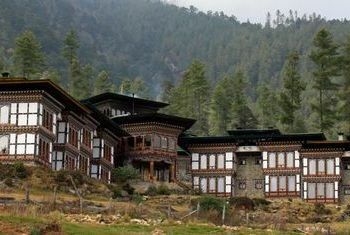 The 3-star hotel is built in traditional Bhutanese style. 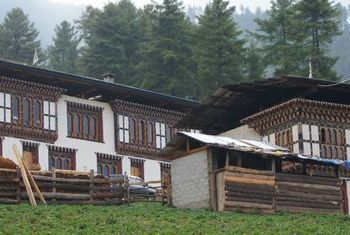 Each room has a wood-burning stove (Bukhari) for heating. 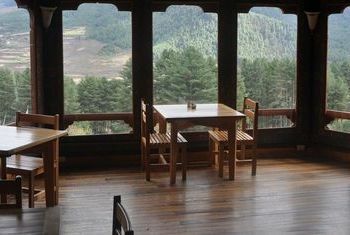 Enjoy the delicious food in the restaurant with a floor to ceiling window offering a breathtaking view of the valley. 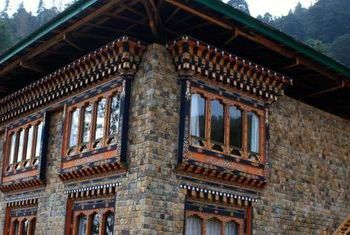 Try a "dragon warmer" the house cocktail of warm rum, apple juice, and Bumthang honey.